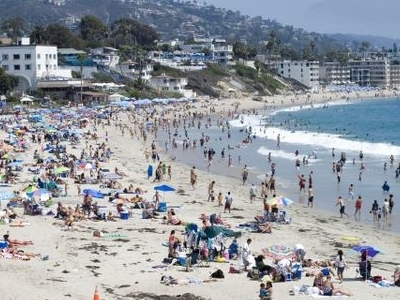 Laguna Beach is a Seaside resort city and artist community located in southern Orange County, California, United States, approximately 19 miles (31 km) southwest of the county seat of Santa Ana. Its population was 22,723 at the 2010 census, down from 23,727 at the 2000 census. Laguna Beach is the second oldest city in Orange County, second to Anaheim. Settlers arriving after the American Civil War found scarce amounts of land available for homesteading, and one such tract, known then simply as "the public lands" was the coastal strip from Laguna Canyon to Three Arch Bay. During the 1870s, a small community named Arch Beach had been started at the mouth of Bluebird Canyon. By the early 1880s most of the land around its small Post Office and general store had been subdivided. It was to be founded in 1887 as Lagonas, but was renamed to Laguna Beach in 1904. 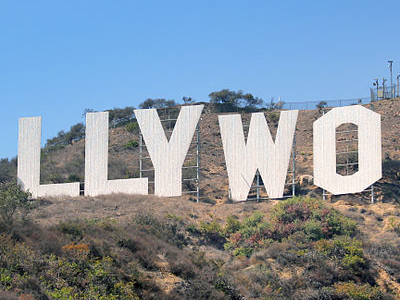 At about the time that Orange County separated from Los Angeles County and became independent in 1889, the community was caught in an economic downturn. 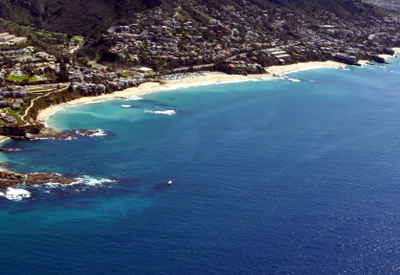 Laguna Beach has a warm Mediterranean climate with abundant sunshine all year. Daytime temperature averages range from 67°F in January to 79°F in July. Mean annual precipitation is relatively low-13.56 inches. Water temperatures are some of the warmest on the southern California coast and range from about 60 °F in February to 72 °F in August; however in early to mid September water temperatures often range from 73 °F to 75 °F. Each summer the Pageant of the Masters is held. This event shows recreations of artwork with people posing in a set that looks like the original art. Also held during the summer are festivals such as the Sawdust Art Festival, Festival of Arts, and Art-A-Fair.The Sawdust Art Festival began in 1965. The Laguna Beach Chamber Music Society holds an annual chamber music festival during the winter season. In the early history of Laguna Beach, many artists and counterculture activists moved from nearby Los Angeles and settled in the charming cottages along the Laguna hillsides. Today few artists remain, as the town is one of the wealthiest places in North America. Most artists in the community now live in Laguna Canyon. Laguna Beach has long embraced the environmentalist movement. In February 2007, its city council unanimously voted to join the U.S. Mayors Climate Initiative. However Laguna Beach has been slow to adapt alternatives to driving, and nearby cities such as Irvine and Long Beach have a higher modeshare for bicycles. There are currently no bike specific infrastructure such as bike lanes in Laguna Beach. On the Orange County Board of Supervisors Laguna Beach is located in the 5th District, represented by Republican Patricia C. Bates. Due to the 2011 California state legislature redistricting, Laguna Beach is now located in the 37th Senate District (formerly the 35th District), represented by Republican Mimi Walters, and in the 74th Assembly District (formerly the 70th District), represented by Republican Allan Monsoor. Federally, Laguna Beach is located in California's 48th congressional district, which has a Cook PVI of R +8 and is represented by Republican John Campbell. Here's the our members favorite photos of "Cities in California". Upload your photo of Laguna Beach City!